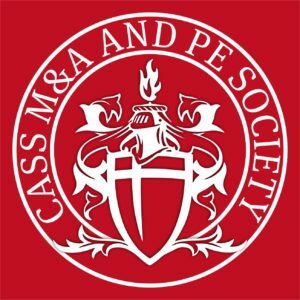 Each year the Cass M&A and PE Society, in conjunction with the M&A Research Centre (MARC) at Cass Business School, hosts what is now the largest student-led Mergers and Acquisitions conference in the world. On a yearly basis, the M&A and PE Society aims to create an environment where over 1000 students can meet and interact with experienced industry professionals who are willing to share their experiences, insights and knowledge about the industry. Each year, all events are promoted to over 10,000 students by advertising through the right channels at Cass Business School, City University and other top or leading business schools in London. Throughout the year, we give students and alumni the opportunity to meet and interact with different levels of experienced professionals who are able to share their knowledge and experiences. The executive committee together with the M&A Research Centre (MARC) at Cass, will work together to administer modeling workshops to students interested in honing their skills or learning about modeling. Cass & MARC host the largest M&A and PE conference in the world where students can learn the in and outs of the entire M&A deal process. Students will also learn how industry forecasts and market trends affect the M&A process.